"And their meetings were conducted by the church after the manner of the workings of the Spirit … for as the power of the Holy Ghost led them whether to preach, or to exhort, or to pray, or to supplicate, or to sing, even so it was done." 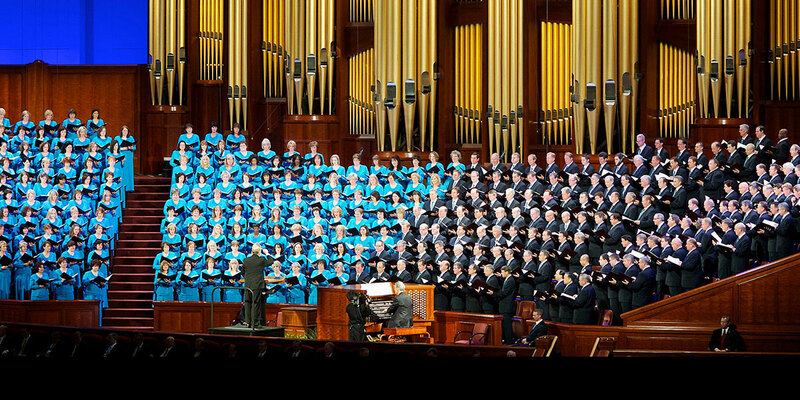 This idea that David’s psalms/hymns were inspired by the Spirit (by prophecy) appears to have continued into Christian belief.6 Furthermore, Dr. Barker has suggested that the singing of hymns was a way to invoke the Spirit, or presence, of the Lord.7 These notions fit well with Moroni’s comment that the church sang hymns “as the power of the Holy Ghost led them” (Moroni 6:9). 1. There are several songs recorded in the Old Testament (and outside of the Psalter) that arguably predate the Temple of Solomon. Examples include: Exodus 15:1–18; Numbers 10:35–36; 23–24; Deuteronomy 32–33; Judges 5; 1 Samuel 2:1–10. Gary A. Rendsburg commented further: “From as far back as our sources allow [the third millennium BCE], hymns were part of Near Eastern temple ritual, with their performers an essential component of the temple functionaries.” Gary A. Rendsburg, “The Psalms as Hymns in the Temple of Jerusalem,” in Jesus and Temple: Textual and Archaelogical Explorations, ed. James H. Charlesworth (Minneapolis, MN: Fortress Press, 2014), 95. Also, Sigmund Mowinckel, The Psalms in Israel’s Worship, trans. D.R. Ap-Thomas, 2 vols. (New York, NY: Abingdon, 1962), 2:85–90. 2. Margaret Barker, Temple Themes in Christian Worship (London, UK: T&T Clark, 2007), 137. The word “psalms” in Greek (psalmoi) means, simply, “songs.” Although many of the Psalms may not have been written or collected until the time of the Second Temple, most scholars agree that a large number were composed and in use in the First Temple period. See, e.g., Rendsburg, “The Psalms as Hymns,” 100. 3. See, e.g., 1 Chronicles 6:33; 9:33; 15:27; 2 Chronicles 5:12–13; 29:30; 35:15; Ezra 2:40–41; Nehemiah 7:1, 73; 10:28, 39; 11:22. See John A. Tvedtnes, The Most Correct Book: Insights from a Mormon Scholar (Salt Lake City, UT: Cornerstone Publishing, 1999), 169. See also the writings of Josephus, e.g., Antiquities of the Jews, 7.12.3; 20.9.6; and the Mishnah, Tamid 7:5. 4. A few examples include: the Thanksgiving Hymns (Hodayot), the Songs of the Maskil, the hymns of the War Scroll, and the Songs of the Sabbath Sacrifice. See, e.g., Bilhah Nitzan, Qumran Prayer and Religious Poetry (Leiden: Brill, 1994). Esther Chazon identified over 300 psalms, hymns, and prayers among the Dead Sea Scrolls. Chazon, “Hymns and Prayers in the Dead Sea Scrolls,” in The Dead Sea Scrolls after Fifty Years: A Comprehensive Assessment, ed. James C. VanderKam and Peter W. Flint (Leiden: Brill, 1998), 244–270. See also James H. Charlesworth, Critical Reflections on the Odes of Solomon (Sheffield, UK: Sheffield Academic Press, 1998), 51. 5. See, e.g., 3 Nephi 16:18–19; 20:32–34; 22:1. 6. See, e.g., Acts 2:29–31. 7. Barker, Temple Themes, 142. 8. Tvedtnes, The Most Correct Book, 169. 9. See 1QHodayota 3:22–24; also the Songs of the Sabbath Sacrifice. 10. For more on this topic, see Tvedtnes, The Most Correct Book, 167–169.